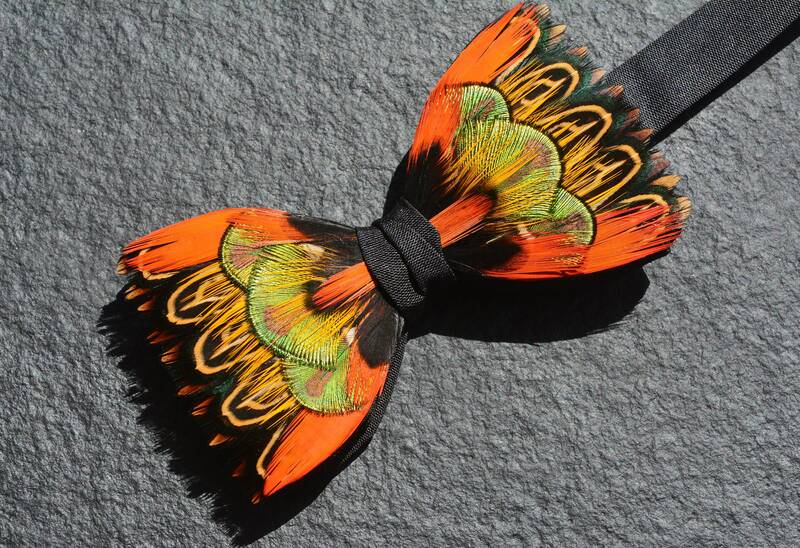 DANCING FLAME The beauty and meaning of firelight is conveyed through the way it burns, and this exquisite handmade high fashion feather bow tie, designed exclusively by Plumassier artist Tracey Telford, delivers a striking message with its ‘Dancing Flame’. 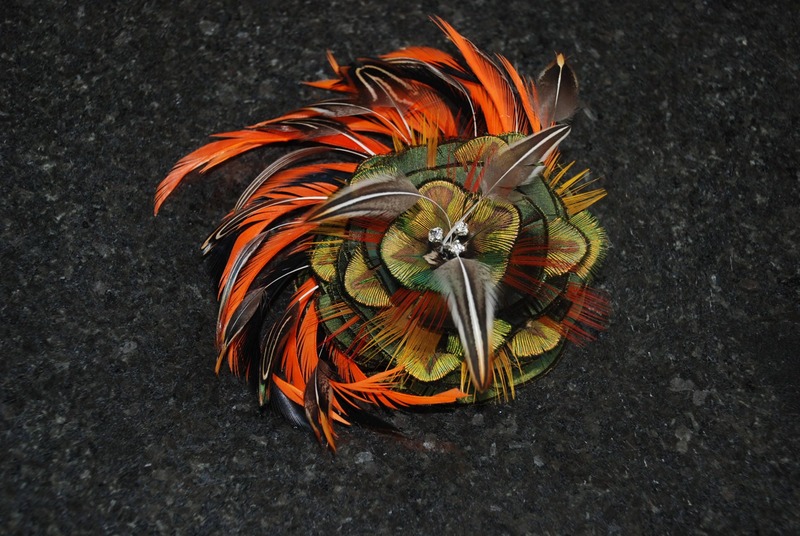 From the passion, motivation and creativity of the hot fiery orange red, to the gold and green elements of courage, wisdom and prosperity, this combination of individually and carefully crafted pheasant and peacock feathers provides just the right mix to fire up any outfit. 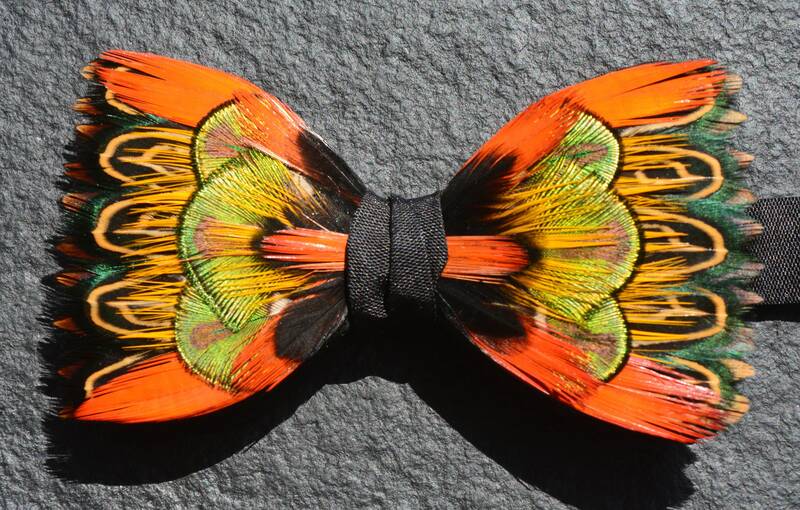 From the growing Peacock Feather Collection, this Dancing Flame is set on a 100% silk black double bow tie base. It can, however, also be made available on a quality satin, and a range of others base colours can also be selected to complement your preferred design aesthetic. 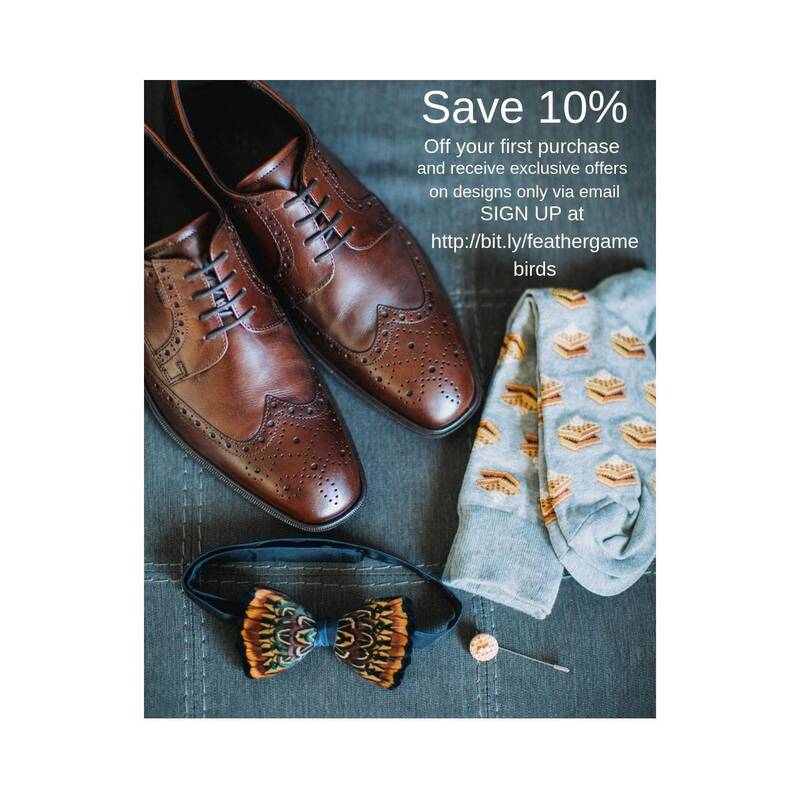 Being individually hand made, complementing designs of feather pockets, lapel pins, wrist corsages, hair clips, bridal bouquets, and fascinators are also available. The bow ties “Bora Bora”, in pale blue and white, and "Fire and Ice", in hot red, green and gold hues, are also a complementary design match for group events, bridal parties and collectors alike. If you cannot see your preferred item listed in store, you can select the custom order button, or contact Tracey direct, to discuss a bespoke design.